“Four Centuries” (4 Sekel) playing cards by Esselte Öbergs A.B. 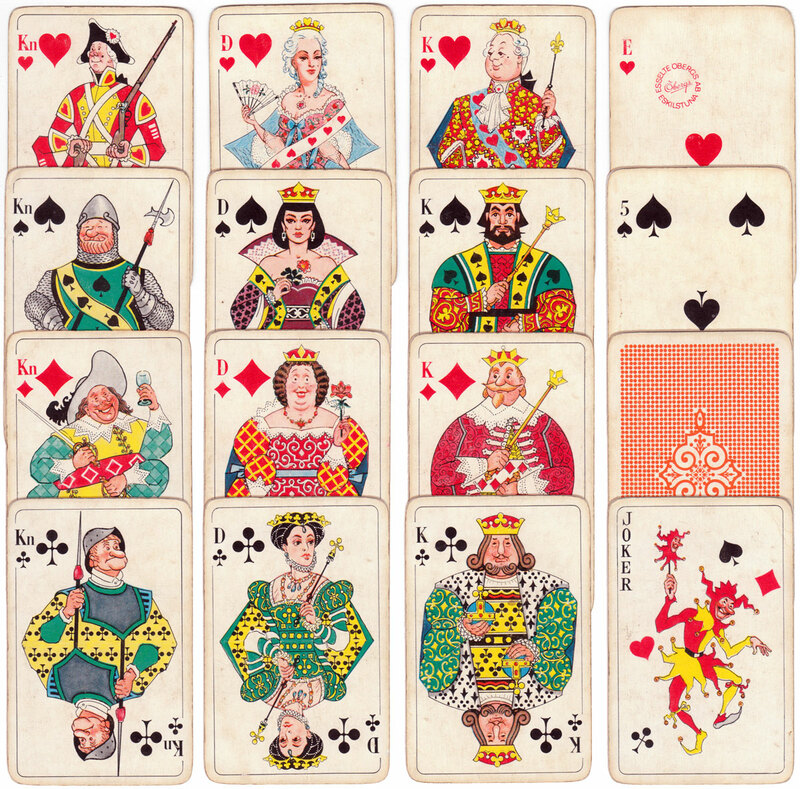 with the court cards depicted as colourful caricatures from different historical periods in each suit, wearing imaginative costumes, also following distinct colour codes. The indices are ‘Kn’ (Knekt) for the knaves, ‘D’ (Dam) for the queens, ‘K’ (Kung) for the kings and ‘E’ (Ess) for the aces. Above: “Four Centuries” (4 Sekel) playing cards by Esselte Öbergs A.B., Eskilstuna, designed by Nils Melander, c.1970. Images courtesy Rex Pitts.